Carlee Joe-Wong is an Assistant Professor in the Electrical and Computer Engineering department at Carnegie Mellon University. 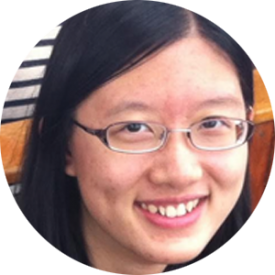 She received her Ph.D. from Princeton University’s Program in Applied and Computational Mathematics in 2016, where she was named a Jacobus and Centennial Fellow. Her primary research interests are in mathematical and economic aspects of computer and information networks. Carlee received her A.B. in mathematics in 2011 and her M.A. in applied mathematics in 2013, both from Princeton University. In 2013–2014, she was the Director of Advanced Research at DataMi, a startup she co-founded from her data pricing research. Carlee received the INFORMS ISS Design Science Award in 2014 for her work on smart data pricing and the Best Paper Award at IEEE INFOCOM 2012 for her work on fair multi-resource allocation. She was a National Defense Science and Engineering Graduate Fellow (NDSEG) from 2011 to 2013.